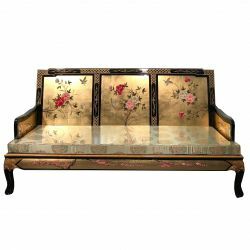 Sopha chinese lacquer.The fabric seat golden delicately decorated motifs of ancient chinese adds to the charm of this sofa.Choose the color of your cushions among the 7 proposals or contact us at 06 80 71 88 05Dimensions: L183 x P61 x H97 cm. 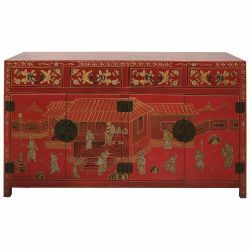 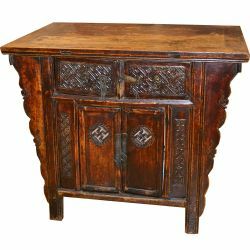 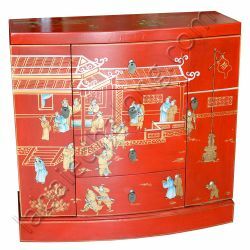 Small wardrobe chinese oblong 5 drawers.Opportunity to order in white, blue, red or blackContact customer service at 06 80 71 88 05Dimensions: L45 x P35 x H89 cm. 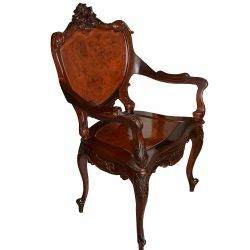 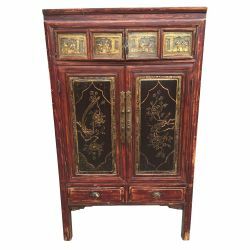 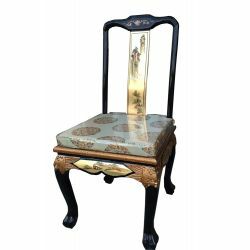 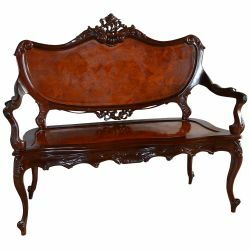 Chair chinese lacquered goldenDimensions: L48 x P46 x H99 cm.